One of the biggest questions I get asked time and again is – do kids need skin care? The answer is a big YES. When I was a child, we used to have one day in a week when my mother used to give me an extra special bath and I would come out with glowing, soft, and supple skin. In recent times, I have often seen parents neglecting their child’s skin care. Children have delicate skin, and most drug stores creams contain parabens, so it is definitely not a good idea to apply these creams which may not suit their skin needs.. Applying a Homemade face pack definitely makes more sense. 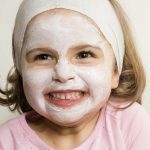 However, when you think about a face mask for your child, the first question that comes to the mind is – what do I make it with? Children have natural oils in their skin, so a good idea would be to boost it and make sure the skin does not dry out. A great face and body pack for children comprises of only two ingredients – some good quality all-purpose flour (maida), mixed with some cream, especially the type which forms a skin on top of boiled milk. In Bengali, we call that “shawr”, and we often mix a teaspoon of flour with milk to form a paste.. After 10 minutes, we rub it off gently. . It helps clean up the skin and gives it a much needed boost of oils. 1. Do not use artificial ingredients like bleach or other chemicals. 2. Do not use harsh scrubs. 3. Baby skin is mild, so do not use acidic agent, like tomato or lemon. They are fine for your skin but not for your baby’s. 4. Do not scrub too hard. Baby skin is mild and scrubbing too hard can cause their skin to pigment later on. 5. Do not leave anything applied for more than 10-15 minutes. 6. Keep a check on the child after application. Lots of times kids generally tend to eat the things covering their faces. 7. Check your baby’s skin type before you make your favorite mask. Here is how you can make a face mask for kids perfectly with cocoa powder and rice flour! 1. 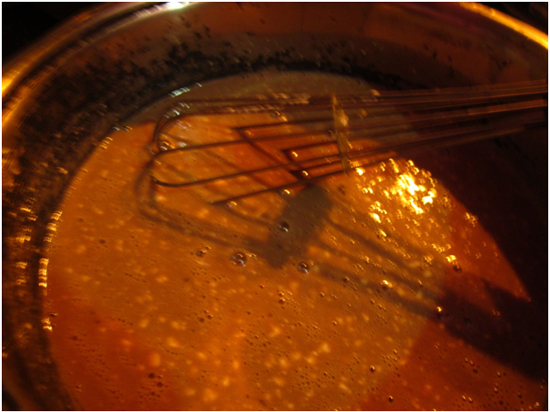 Take 1 tablespoon of flour and add to it 1 teaspoon of cocoa powder. 2. Add to it 1 teaspoon honey and enough milk or curd to form a thick paste. Whisk everythin together. 3. Apply it on your child’s face and body. The face mask is easy to apply, and really tasty too, so your child will not object to the weird smell and it is perfectly safe. 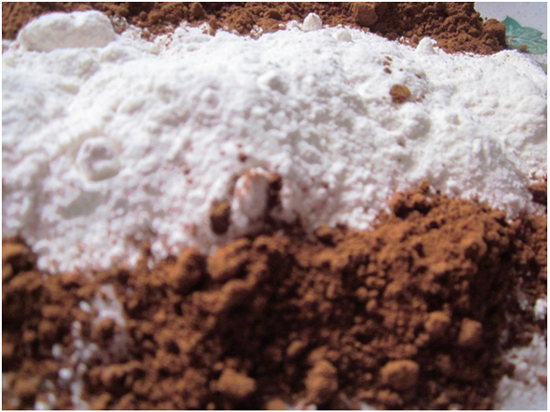 Flour clears the face, while cocoa is an antioxidant that balances the skin’s PH level easily. Honey is nourishing for the skin, and so is milk. Also the concoction is really tasty and perfectly edible, so you need not fear your child eating a bit of it too. 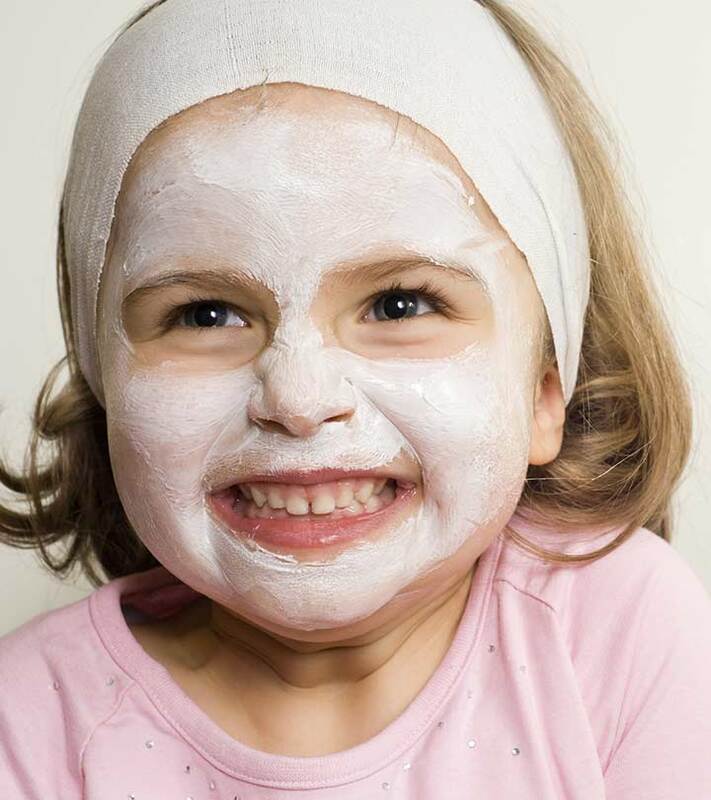 Think of all the fun you kid will have while you make sure her skin is well cared for! Do give it a try!